Save changes to an item. Reveal all passwords in the item details. View the selected password in Large Type. Copy the selected item detail to the clipboard. 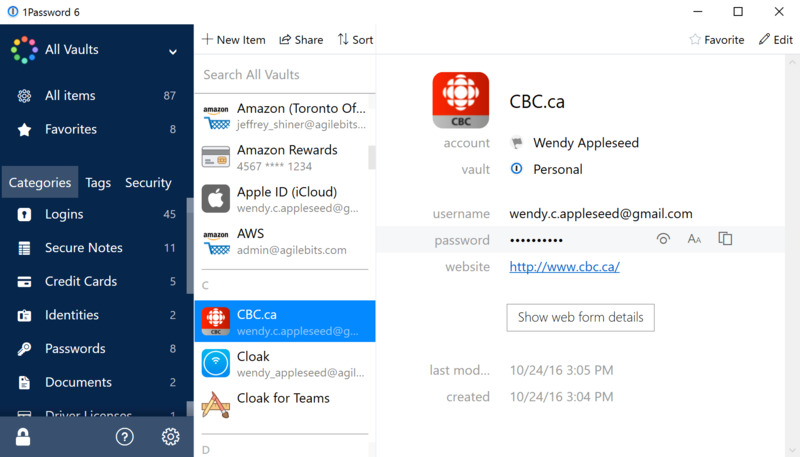 Copy the username or password of the selected item to the clipboard. Select the next item detail. Move the item detail up. Move the item detail down. Sign in to a 1Password account. Select the next category in the sidebar. Select the previous category in the sidebar. 1Password is a password manager software for storing various account passwords, software licenses and other sensitive information. By default, the vault which contains encrypted data is store on the developer's server for a monthly fee. What is your favorite 1Password hotkey? Do you have any useful tips for program? Let other users know below.